Finally Rajasthan Government has appointed Secondary Education Board, Ajmer Rajasthan to arrange Rajasthan Eligibility Examination for Teachers Exam [REET]. This exam will be conducted on 11th of Feb 2018 [11/02/2018] at exam centers decided by RBSE. 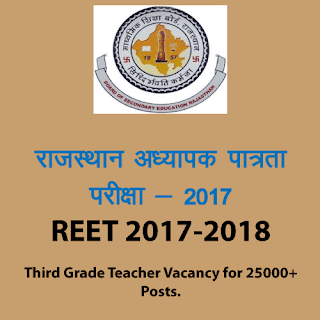 The Notification is released for 25000 posts of Third Grade Teacher in class 1st to 5th (Primary Level) and 6th to 8th (Secondary Level) for various subjects through Rajasthan Board of Secondary Education. This notification is released for the candidates who has missed their online registration last time and if any candidate who has filled it already they have no need to fill it again. D.Senior Secondary (or its equivalent) with at least 50% marks and passed or appearing in final years of 2-year Diploma in Education (by whatever name known). E. Graduation and passed or appearing in final year of 2-years Diploma in Elementary Education (by whatever name known). Clarification: Point A,B,C and E in above mentioned educational qualification is for General teacher and point D is for special education teacher. C. Graduation with at least 45% marks and 1 Year B.Ed passed or appearing in final year of 2 year Bachelor in Education (B.ed), in accordance with the NCTE (Recognition Norms and Procedure) Regulations issued from time to time in this regards. Clarification: Point A to E in above mentioned educational qualification is for General teacher and point F is for special education teacher. Age Limit : Minimum 18 and Maximum 35 Year. Applicants who are passed in previously organized exams of RTET 2011/ RTET 2012/ REET - 2015 can also fill the form to upgrade their result. RTET and REET exam level is equal. So if any candidate get passed in both exams than higher marks in any exam will be considered. Before depositing the fee, applicant should check his eligibility criteria in department provided notification. Fee will not be refundable. 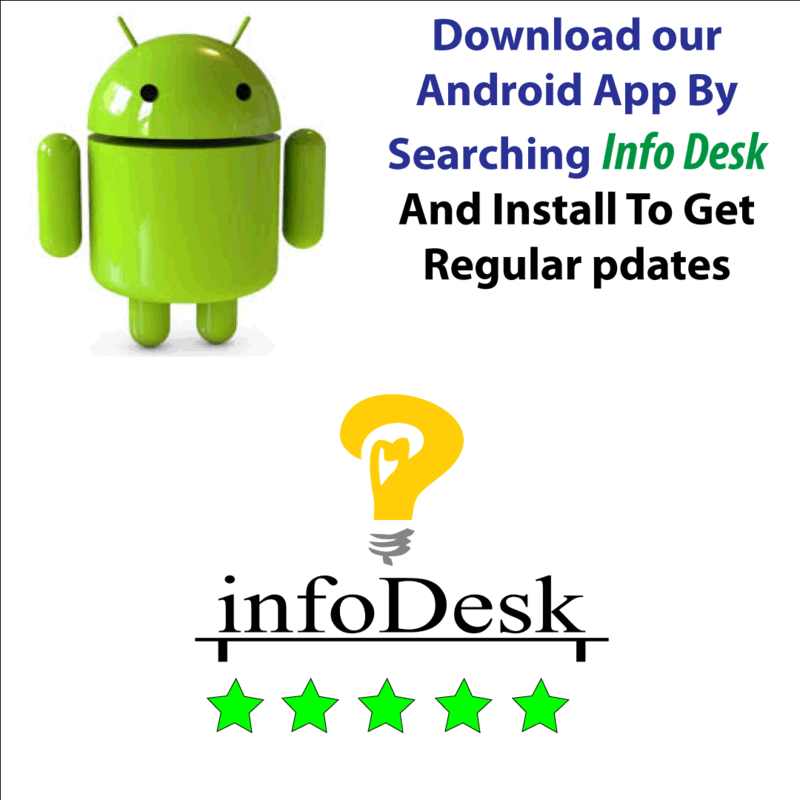 Applicant can download the application form format from http://rajeduboard.rajasthan.gov.in/reet2017 before submitting the online form and after filling the all entries he is advised to fill the form so there will be no error in application. One option will be provided to check and edit all details before final submission of application form. After final submission there will be no chance to reedit the form. How To Apply: Online application for REET 2017-2018 will filled on http://rajeduboard.rajasthan.gov.in/reet2017 . Candidates are advised to fill the form within dates given by department. Guide for online application will be available on above website and we will also publish the article and video for how to apply online for REET 2017-2018. Candidate can apply through online application only, there's no any other option to apply for above post. First of all candidate have to fill his name, father's name, mother's name, exam level, mobile number etc. then download the bank challan or pay by debit card/credit card etc. After verification of payment candidate can only apply online.